Tips on the Repair & Care of Antique Furniture and Furnishings. It’s rare for antique furniture to be kept solely for display purposes, so certain precautions are necessary in caring for antique furniture if it is to withstand years of daily wear and tear. 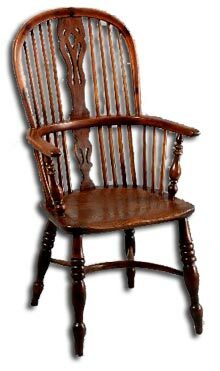 Treat your antique furniture with due respect for the original use it was designed for. The surface of an old desk, for instance, was not designed to withstand the pressure of a ball point pen. Tilting or leaning back on a chair, opening a drawer by only one of its two handles, dragging furniture rather than lifting it, all put unnecessary strain on the structure. 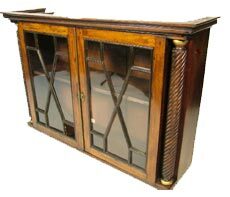 Before lifting or moving antique furniture, empty its contents and remove detachable parts to carry separately. Take hold of the lowest part of the main frame, not the top surface of a table and pick up chairs under the seat, not by legs, stretchers or backs. A surface patina, even if it is marked and damaged, contributes to the character, authenticity and value of a piece of antique furniture and you should aim to preserve it. If restoration is necessary, the original finish should be matched as closely as possible. French polishing or the tough synthetic varnishes of the 20th century should never be used to replace wax or shellac. Oil or beeswax polishes are the most common finishes on 16th and 17th century furniture and on oak and country furniture up until the 19th century. These are more resistant to minor bruises and spills than varnish or lacquer. 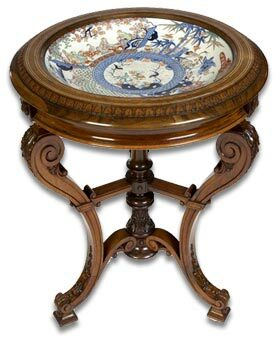 Resin and shellac varnishes were used on fine furniture from the end of the 17th century and like lacquered and japanned finishes are spirit-based. They can be marked by solvents such as alcohol, as well as by heat, damp and abrasives. 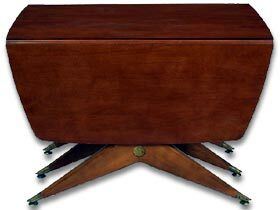 French polishing, introduced in the early 1820s, involves a method of applying shellac that achieves a high-gloss finish with less effort; but it is less durable and prone to chip. Newly applied French polish is particularly vulnerable as it can take up to six months to harden completely. Graining and ebonising, are where a surface is stained to resemble an exotic wood and you can wear this effect away with too much rubbing. Veneered furniture is particularly vulnerable to dry or damp conditions, or if water or polish seeps beneath the surface skin and causes the veneer to buckle, lift or split. Inlaid finishes such as marquetry and boulle are even more sensitive as the materials used can react to heat and humidity at different rates, resulting in uneven stress over the whole surface. All sealed wooden surfaces can be waxed to bring out the colour and grain of the wood and to provide protection against staining, but over waxing will actually cause dullness. Furniture that has been waxed and polished for years should only need buffing with a chamois leather or duster, and then waxing once every few months. Solvents used in furniture polishes, especially the spray polishes, can leave a whitish bloom on some surfaces or gradually dissolve lacquered finishes. They should not be used on any lacquered surface and only sparingly on wax. A microcrystalline wax is the best medium for giving a light, protective and burnishable coating to most surfaces, including ebonised wood, lacquer and French polish. Apply the wax over an area about 1ft (30cm) square at a time, burnishing with a soft clean cloth as it dries. Use a soft-bristled brush for carved surfaces, making sure you leave no surplus polish in the crevices. Brass mounts, such as handles and other fittings don’t have to be ultra-bright on antique furniture; light burnishing as you dust is adequate, or buff with a long-term silver cloth. Metal cleaners should not be used as they can harm the wood around the mounts. The gold finish on ormolu is very delicate and should never be polished, even with a dry cloth, and especially not with cleaning fluid. Fingerprints, which are acidic, can damage the gilding. In time the brass or bronze base corrodes, giving the finish a spotty, then black appearance. The mounts can be lacquered but even this will fail in time. Other than dusting ormolu gently and regularly with a soft brush there is little else to do; never have it regilded if you want to retain the value. Water-based gilding remains water soluble and should only ever be dusted, whereas oil gilding may be cleaned by gently dabbing with slightly damped cotton wool. Water gilding is applied over layers of gesso and is a yellow or dark red. It may be burnished to a high shine, although some pieces may have areas that are meant to be left matt. Oil gilding is sometimes applied directly onto wood and has a matt finish. Chips in a gilded surface can be filled with fine surface filler and disguised with yellow ochre, watercolour paint. Avoid using gold metallic paint for areas of any size, as it clashes with the true gilding. A professional guilders aim will be to match the original techniques and materials, and to retain as much of the original surface and patina as possible. Caring for antique furniture upholstery. Upholstered antique furniture must be vacumed regularly to guard against a build up of dust and pests, if necessary use a fine mesh net stocking over the nozzle of the vacuum cleaner to prevent any loose pieces being irretrievably sucked off. 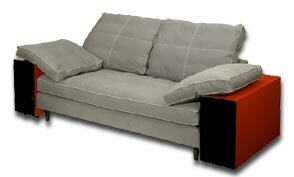 Fine old upholstery fabric should be reserved for display only, although a loose cover can offer some protection. However, on some seat furniture, upholstery can be re-webbed or re-stuffed, or the fabric replaced with a sympathetic alternative, without detracting from the value of the piece. Always get expert advice before re-webbing, stuffing or replacing an antique fabric. If re-upholstering drop in seats always make sure you return the seats to the original chairs and make sure the new covering isn’t so tight that it strains the leg joints. Dealing with woodworm in antique furniture. Adult furniture beetles and pinhole beetles lay eggs in crevices in wood. The eggs hatch into larvae (woodworm) which eat into the wood and leave tunnels some 1mm in diameter. They eventually emerge as beetles and fly away between May and August. Active infestation of antique wooden furniture is revealed by freshly bored holes and deposits of sawdust, or ‘frass’. Check and treat any new purchase before taking it into your home, and check any wooden objects twice a year for infestation – especially bare and softwood surfaces such as the inside of drawers or backboards. Upholstered or particularly delicate furniture should be professionally fumigated, but on other items, a good quality, clear, low-odour woodworm fluid can be applied by yourself at home. The most effective time for treatments is late spring or early summer. 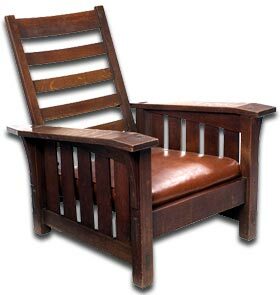 Remove any detachable upholstered parts and only treat the unfinished surfaces of the wood. The solvent in the fluid will damage waxed, polished, varnished, lacquered or painted surfaces. Carefully inject the insecticide, using a hypodermic syringe and needle to reach deep into the holes. If unsure or not confident this should be left to an expert or consevation specialist. 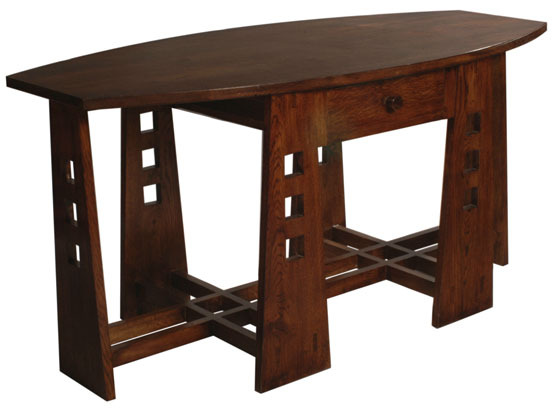 After treating, fill the holes with a soft inert wax and blend in with the surrounding wood. Unlike many other antiques, which can be devalued by restoration, a piece of furniture that has been sympathetically and honestly restored into usable condition, using traditional methods and materials, can be worth more than a damaged item. 3.) Use a professional furniture restorer to reinforce or replace rotten or wormed timber with sound wood, saturate it with resin or fill it with a mixture of animal glue and sawdust. 4.) Cure sticking doors or drawers by easing with a touch of candle wax. If they are misshapen, they need to be trimmed by an expert. 5.) Chipped or lifted veneer should be professionally repaired as soon as possible, but exposed edges can be temporarily protected with masking tape and detached pieces kept in a plastic bag. 6.) If stripping is necessary and will not remove a valuable patina, it should be done by a professional furniture restorerer. Acid stripping swells and rots wood fibres. 7.) Dry, cracked leather on desk tops can be revitalised with a lanolin and beeswax preparation such as Connolly’s Hide Food. Make sure you spot test the dressing on an inconspicuous area; if it leaves no stain, then apply it sparingly with a soft cloth. Then allow the dressing to absorb (for around 24 hours) before gently buffing with a clean duster.